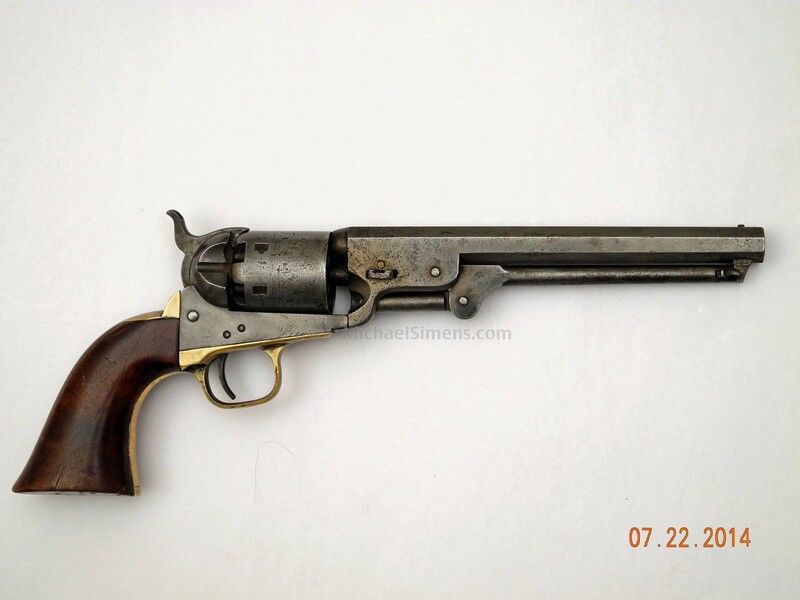 Here we have a late fourth model variation of a Colt 1851 Navy is in generally very good condition retaining approximately 70% of its original cylinder seen all numbers are matching to include the wedge. The action and markings are sharp and crisp and the grips are full, showing the little use. The gun is an overall great patina. 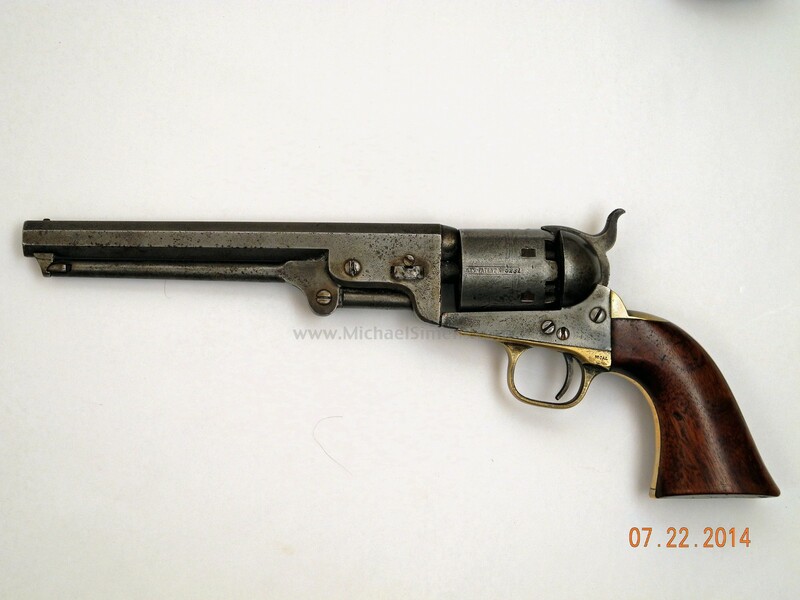 This gun is in the 200,000 serial range and was manufactured after the Civil War. Ffrom its general appearance I would say that it definitely saw use on the Western frontier. 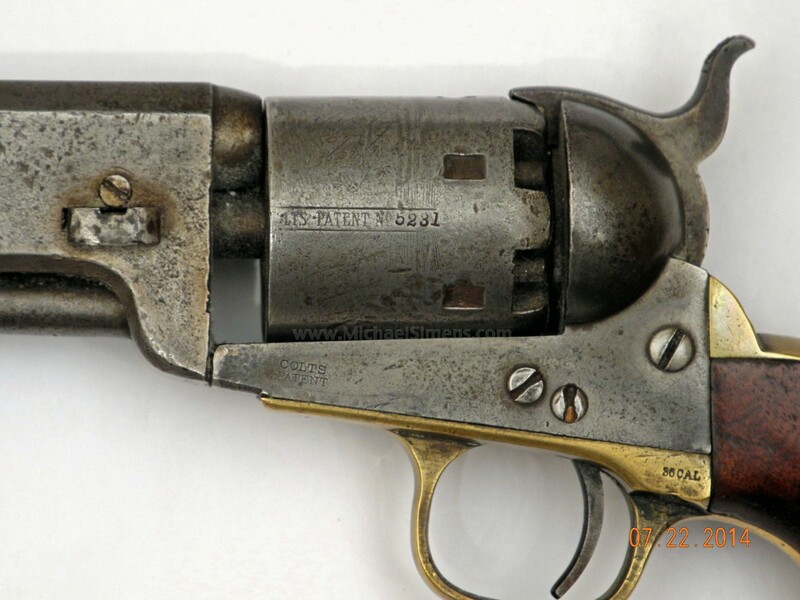 These Navy revolvers are of a similar size to the colt single action revolver and were popular among cowboys and gunslingers most notably Wild Bill Hickok, who wore a pair of engraved 1851 Navy's with carved ivory grips. 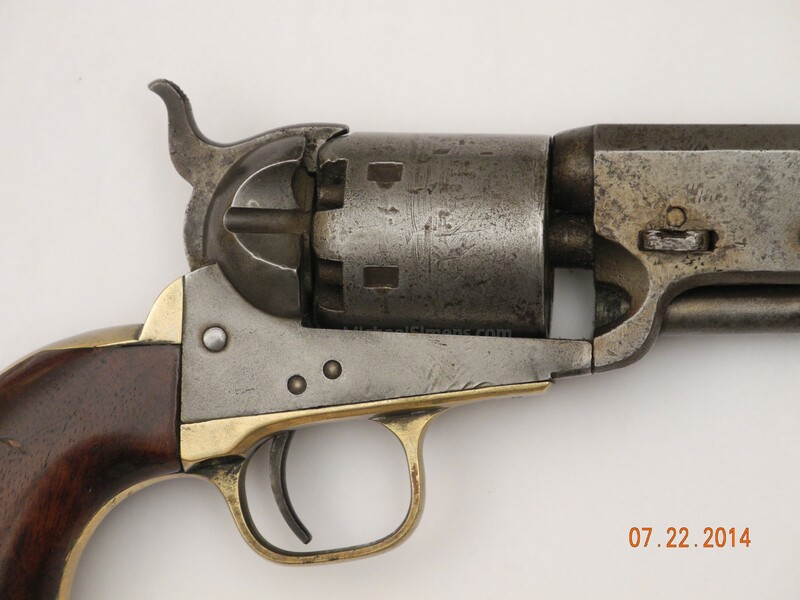 You'll note in the photographs that this gun has a very small wedge screw. This wedge screw goes all the way through the barrel lug and is a perfect example of a high quality field repair.